The Nike Air Tech Challenge 3 is set for another comeback. 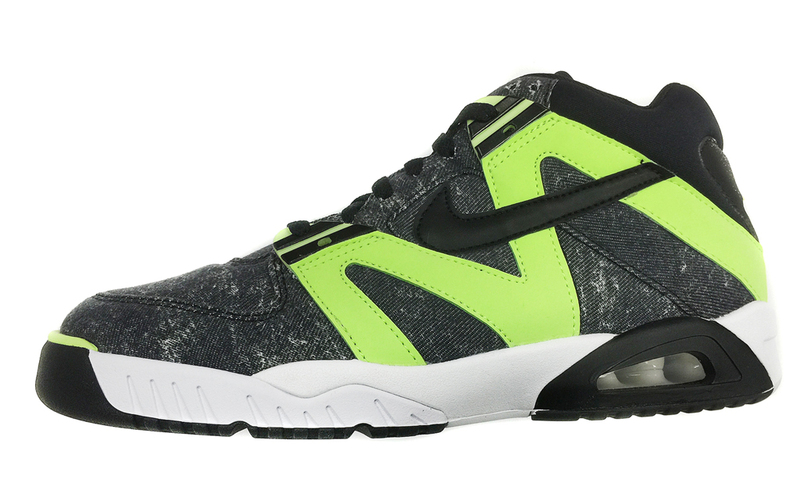 Last seen in 2007, the Nike Air Tech Challenge 3 is on its way back. After a successful resurrection of the Tech Challenge line in 2014, Nike Sportswear is ready to bring back another Agassi classic. This marks the second retro run of the Tech Challenge 3. Expect to see a variety of colorways release, both new and old, including this all-new 'Washed Denim' edition. They come in a black, white and radiant green colorway. Sporting a black-based washed denim upper with green and black accents, finished off by a white midsole and black outsole. No word yet as to whether or not the logo on the back will be like the '06 Retro or, true to the OG's. The 'Washed Denim' Nike Air Tech Challenge 3 is set to release in the Fall of 2015.